Yesterday, I did my first “ride guide” gig for Rothrock Outfitters. Though I’ve been riding mountain bikes regularly for a couple years now, I know most of the trails in the area, and I’ve done plenty of river guiding and have helped lead group rides a few times in the past, I was nervous. I had never taken a group of strangers out on a ride by myself, much less in Rothrock State Forest, where it can be easy to get lost, and the trails are tough and technical. But I was also excited for the challenge, and I want to get into more guiding, so I felt this was a great opportunity to start overcoming that nervousness and gain a bit of self-confidence in myself as a leader. And, I was getting paid to mountain bike, and show people the places I love to ride. After a bit of a miscommunication about the meeting spot, the group of three guys from Pittsburgh and myself got a later-than-expected start, but it all worked out. 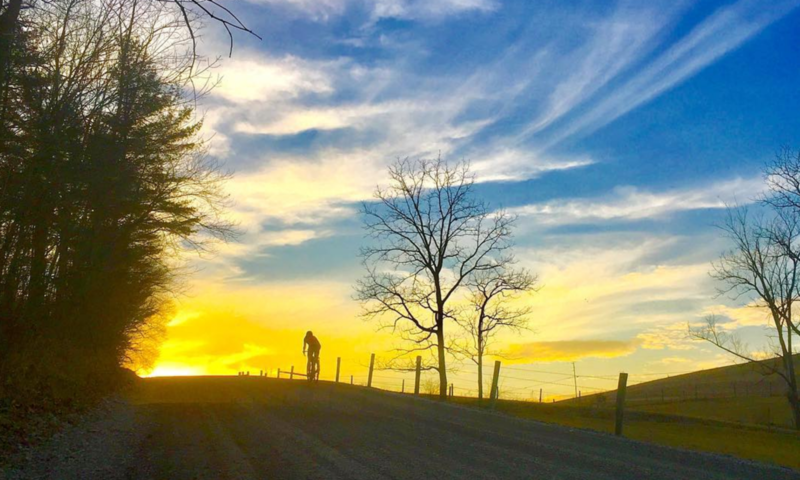 I still was able to take them on the ride I had planned for them — a mix of some of my favorite trails that best showcased the “Rothrock Experience” without being too difficult for those not used to riding there. And at the end of the day, their exclamations of “that was awesome!” meant everything to me. It was one of the best feelings in the world, to know that I showed them exactly the experience they came here for. Chicken Peter Trail, the last part of our ride (this photo was taken a different day, a few weeks ago). Love riding up there. My wife is a Penn Stater and I get the chance to ride whenever I can up there. Ride there two weeks ago as a matter of fact. Nice going on the guiding. Who were the guys from Pittsburgh? Wondering if I ride with them. That name is familiar. I may have ridden with him. The community as you know is fairly small and we tend to know the riders. I get to State College a couple of times a year. My wife’s room mate lives off of Blue Course Drive. I will contact you the next time in town. Perhaps you and your significant other can join us. Getting paid to ride a bike IS awesome! Congratulations. Previous PostPrevious Leaves and woodsmoke. Next PostNext Pike 2 Bike — Riding the Abandoned PA Turnpike.